Easy to assemble and use: just simply hang the clothes inside and set the timer dial, and let gentle warm air waves do the rest. It holds up to 22lbs of clothing and is easily packed away for compact storage. There just isn't a more convenient way to enjoy dry clothes when you need them. 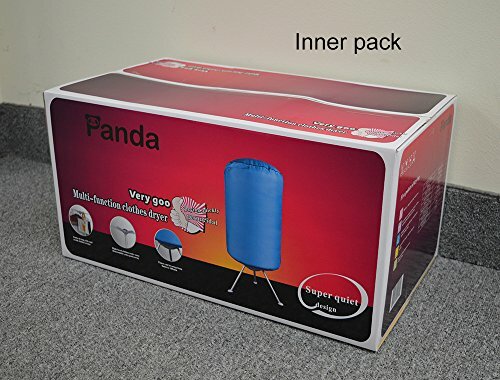 Please acknowledge before purchasing: This is the portable folding dryer, which works with air flow. 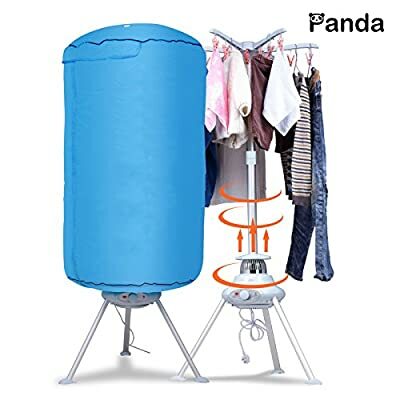 This product is 110V with 900W power consumption; it takes a longer time to dry the clothes when compared with the regular dryer. 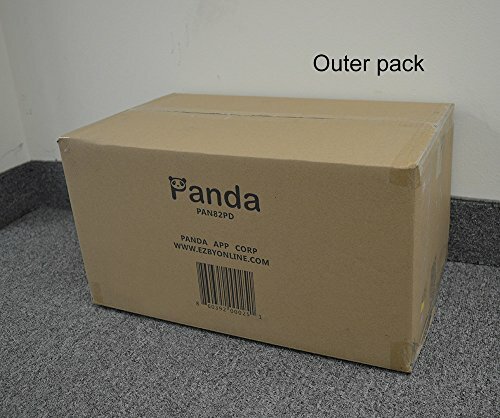 Panda is Top Brand in Washing Machine /Dryer Category Provides various choices for your need with excellent quality and customer service PAN82PD is 2016 new model Easy to assemble and disassemble. No Vent or special outlet needed 120V outlet, plug anywhere you like. Energy saver.Perfect for Apartments, Dorms, Travel. Space Saver.